Designed to work with Tide detergent, these pens help remove many fresh food and drink stains. 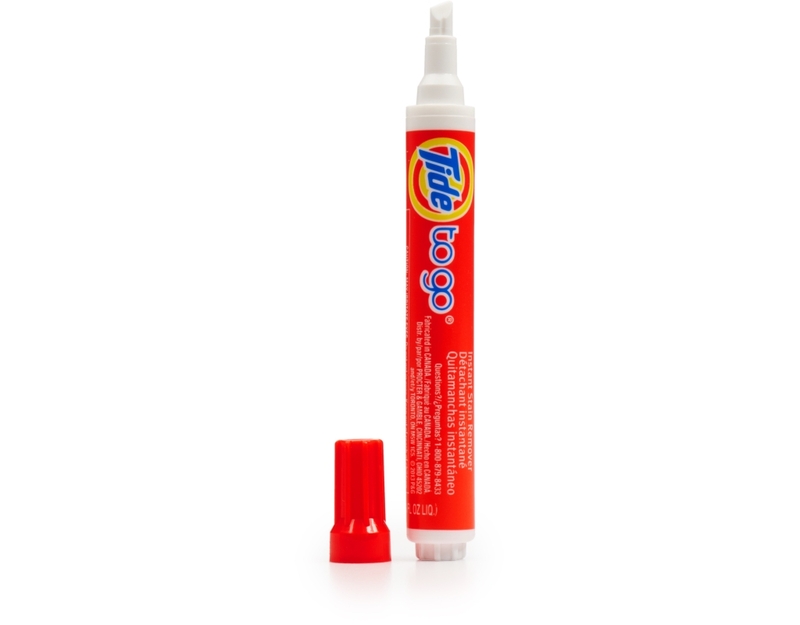 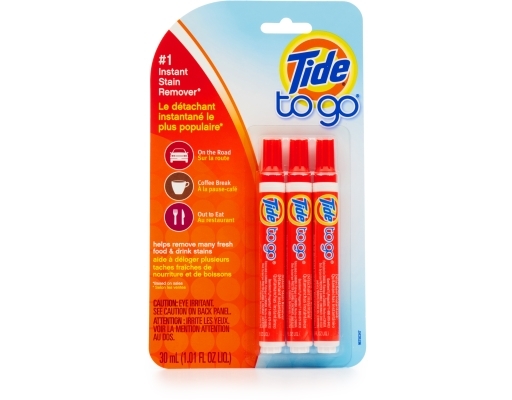 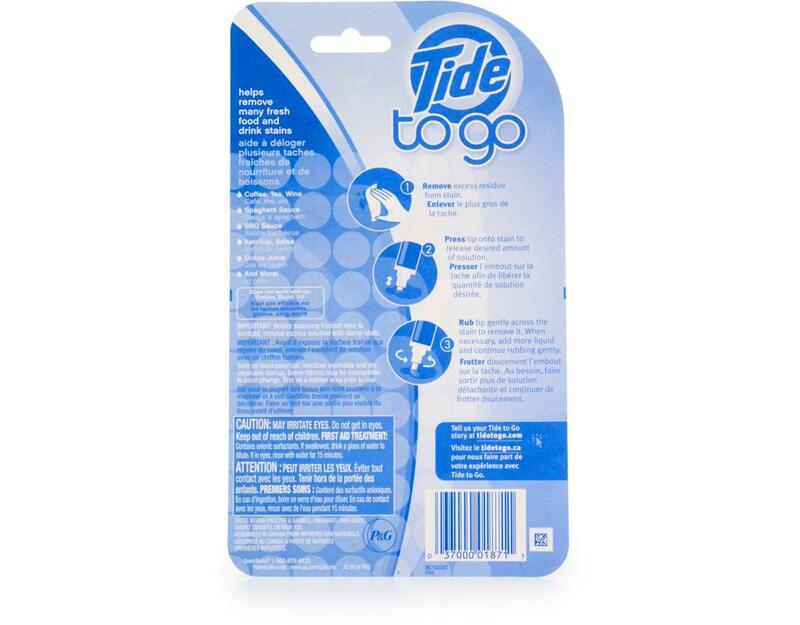 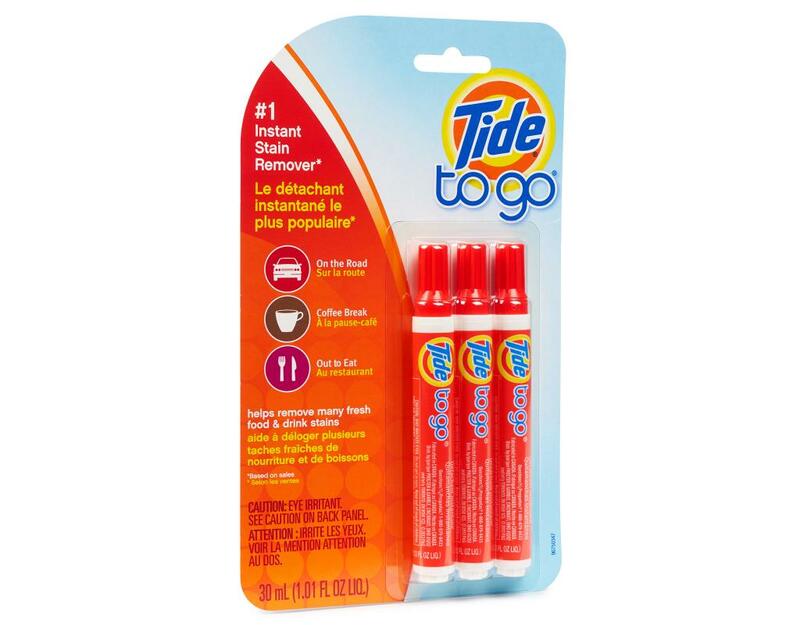 Tide To Go Stain Releaser Pens help remove even tough grease stains while "on the go" with the combination of a powerful cleaning solution that breaks stains down, and a micro-fiber pad that lifts and absorbs them. 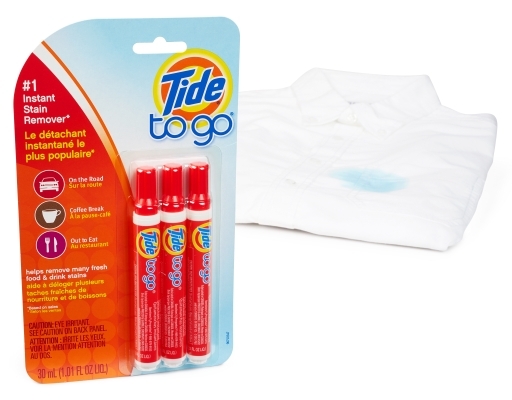 Tide To Go Laundry Detergent is the #1 instant stain remover to help remove some of your toughest fresh food and drink stains.